This post is the companian peice to a Prezi of the same name, and serves mostly as a collection point for references and thanks. The Prezi is intended as an oral presentation, so I do not intend to include a full description of the content here. After watching the Prezi/hearing the presentation regular visitors to meta4RN.com will recognise some familiar themes. Let’s not call it self-plagarism (such an ugly term), I would rather think of it as a new, funky remix of a favourite old song. Due to this remixing of old content I’ve included previous meta4RN.com blog posts on the reference list. I am more than just a bit embarrassed at how self-referential the Prezi/my presentation is. Not only does this make me look like a total narcissist, it also calls the credibility of the presentation into question. I’ll need to cop those criticisms on the chin until more Australian mental health nurses provide examples of professional use of social media. When that happens, I intend to replace some of the meta4RN content of the Prezi with that of other Australian mental health nurses. Ferguson, C., Inglis, S. C., Newton, P. J., Cripps, P. J. S., Macdonald, P. S., & Davidson, P. M. (2014). Wozniak, H., Uys, P., & Mahoney, M. J. (2012). 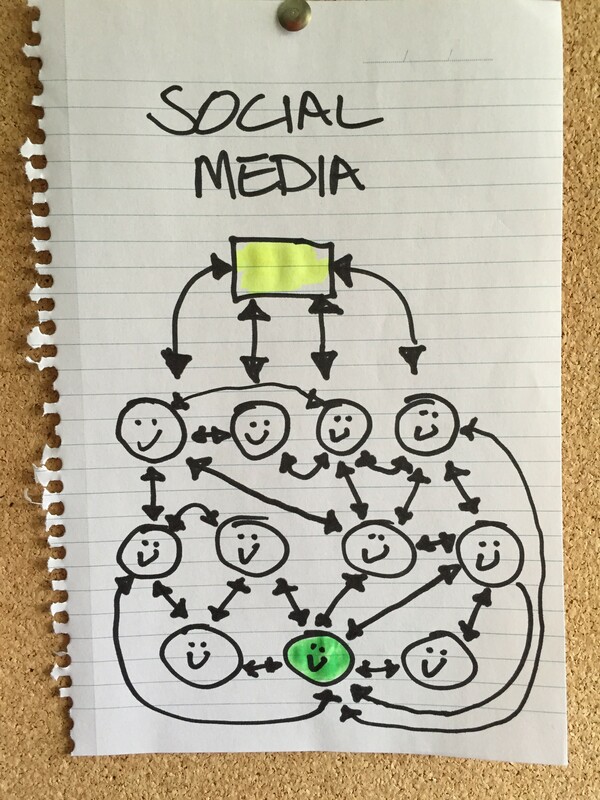 Digital communication in a networked world. In J.
Higgs, R. Ajjawi, L. McAllister, F. Trede, & S. Loftus (Eds. ), Communication in the health sciences (3rd ed., pp. 150–162). South Melbourne, Australia: Oxford University Press. 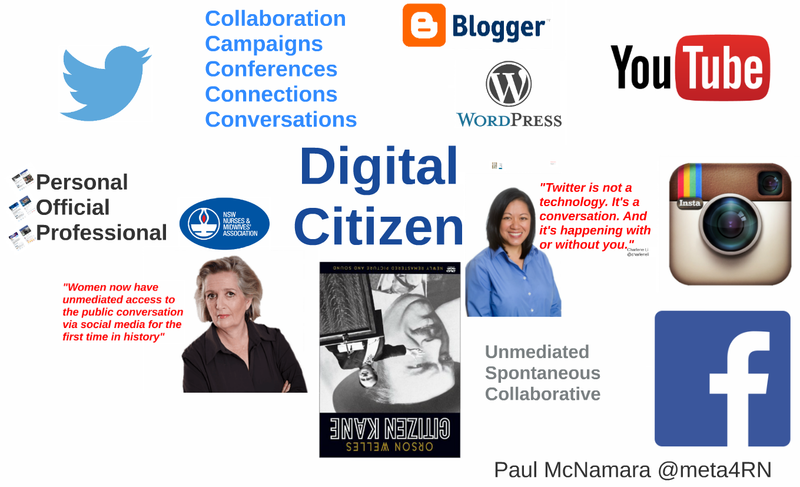 This entry was posted in Blog and tagged #HCSMANZ, #SoMe (Social Media), blogging, communication, Facebook, FOANed, nurse, nurses, nursing, prezi, Twitter on 14 March 2015 by Paul McNamara. Lots of good points there Paul… don’t feel embarrassed. It’s up to the community of carers to add to your excellent resource list.